Warriors Orochi 3 revitalizes the hack and slash genre with the largest roster to date, new online customization, and more than enough fan service and depth to keep it all interesting. Warriors Orochi 3 opens not with any true sort of tutorial, but rather with a penultimate confrontation with just three allied generals left alive to stand alone against one giant snake, Orochi, and his army of generals. Even if the trio includes personal favorite Ma Chao, it’s just not enough manpower to survive. After a brief impossible battle, the three characters nearly succumb to Orochi’s wrath, only to be saved by series newcomer Kaguya. Duty falls upon Kaguya to explain that the heroes need to travel back in time and save their fellow generals in order to stand a chance. Time travel provides more than just a careless plot device, instead giving the player the chance to revisit previous battles in order to rout enemy armies and bolster their troops with mass recruitment if they’re able to save everyone on their side. After seeing a general fall in battle, typically by some ambush or self sacrifice, side missions may occasionally spring up in camp that allow players to take on a previous battle, thus altering the future in some way. It’s from these missions that ‘Redux Battles’ may appear, giving players a chance to revisit key battles with a new objective and the opportunity to possibly avert what might have been an early grave for some characters. Combat in Warriors Orochi 3 largely feels unchanged from previous entries, given its genre as a true hack-and-slash title on a massive scale. Newcomers to the Orochi series may be overwhelmed with the usage of three characters as opposed to a single point man, but swapping between characters, even in the middle of a combo, requires only a single button press. Players may find themselves getting through most encounters early on with just a mash of attacks, but the further one progresses, especially with the higher difficulties, the more a player must rely on some of the game’s other core mechanics. Musou attacks break up the eventual monotony of continually hitting the square button with each character having their own special techniques and playing styles. Given Orochi‘s focus on the three-person teams, there’s a new mechanic introduced this time around focusing on spectacular team attacks. Dubbed the True Triple Attack, there’s a separate gauge that fills up over the course of a battle that once activated unleashes a barrage of attacks using all three members of your squad. Defeating enemies with these attacks is the only way to obtain gems used for purchasing some of the rare wares in the weapon shop. 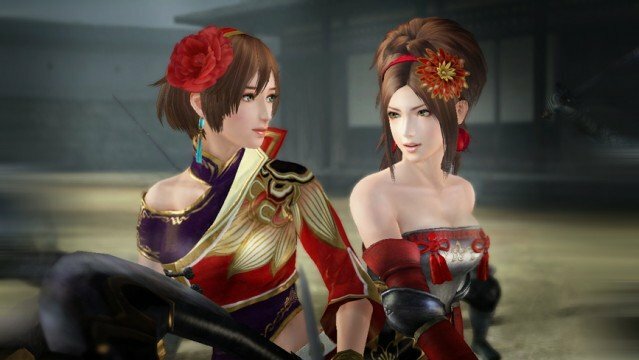 Warriors Orochi 3 bills itself as a strong fan service game, paying more than just a little homage to previous titles. Most battlefields are recycled from previous games with layouts largely remaining the same, although there lies a great deal of destruction to the scenery as part of Orochi’s wake. Honestly, some of the previous maze levels seem better suited with broken ground and lava seeping from the cracks. Although it’s little more than a minor gripe that may only occur when you’re rushing through to the next battle, it does frustrate you when you have to roll back some of your progress. When presented with a game over during a story mission, unless you opt to manually save just before the start of a battle, all of your preparation and upgrading from the last base camp visit will be lost. Warriors Orochi 3 brings in a slew of cameos from various games, catering to fans of previous Omega Force titles. Expect to see familiar faces from Bladestorm, Warriors of Troy, and Trinity: Souls of Zill O’ll. 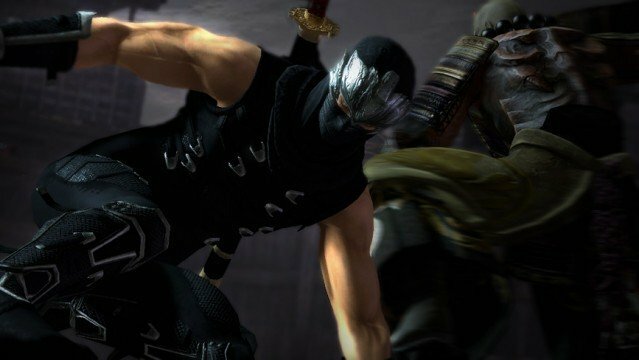 Team Ninja even brings in a couple of guest appearances, with Ryu Hayabusa and Ayane of Ninja Gaiden fame helping to fill out the roster. Warriors Orochi 3 brings the largest roster to a single hack-and-slash title, boasting over 130 characters to pick from, most with their own play style. Unfortunately, Luffy, Kenshiro and Epyon are all missing from the pantheon of warriors. Perhaps even they were too over the top for a story that finely walks the line between supernatural alternate realities and fan service. One of the largest annoyances to the genre as a whole is the camera. Warriors Orochi 3 is unfortunately plagued with some of the similar issues that hindered its predecessors. With a limited draw distance and enemies popping in and out at will, the camera tends to act as the biggest obstacle by swinging around in tight enclosures or even knocking officers and high value targets off screen. While enduring a couple of combo attacks from an enemy on normal mode might not seem so bad, an encounter on the higher difficulties may quickly take a turn for the worse if you can’t get away from an opponent’s grasp. Thankfully, the button to adjust the camera and the button to block are one and the same, so expect a bit of relief when you have to readjust your view. For players that don’t want to take on the world by their lonesome, Warriors Orochi 3 offers plenty of multiplayer options. A second player can pop in during the preparation phase and select their own three-man squad to aid your cause. Couch co-op works as well as can be expected. Frame rates thankfully hold up well, and the draw distance mentioned earlier doesn’t look to be affected. The only problem I could see is the constant battle chatter tend to block the top part of the second player’s screen. Online multiplayer is present and accounted for, working similar to the system brought out in Dynasty Warriors 7. Players can seek help for a specific mission and difficulty, allowing others searching at the same time to pick and choose a particular battlefield to conquer. During my time playing through Orochi 3, I only found a couple of groups playing on Chaos difficulty and both matches ended before they could even begin with a random error message shortly before disconnecting. Players with a penchant for customization can create a “musou battlefield” to be shared with the online community. While it doesn’t allow for total customization, it does allow players to pick apart any stage from the main campaign mode and twist it around to their liking. Many options present themselves to work with, from changing the enemy troops and officers present to even changing their mid-battle monologues. Say you want to fight an army of nothing but Lu Bu? That could happen! One unusual omission form the game is the option for an English dub. Some of the dialogue from previous Musou titles held a certain tongue-in-cheek cheesiness with the dub that seemed to mesh well with the series. Instead, Warriors Orochi 3 only offers an option for Japanese spoken dialogue. Purists will find that to be a bonus in the game’s favor, but I personally have a special place in my heart for the whining cries for benevolence and justice. As the latest entry from Omega Force, Warriors Orochi 3 certainly stands as a solid hack-and-slash title. 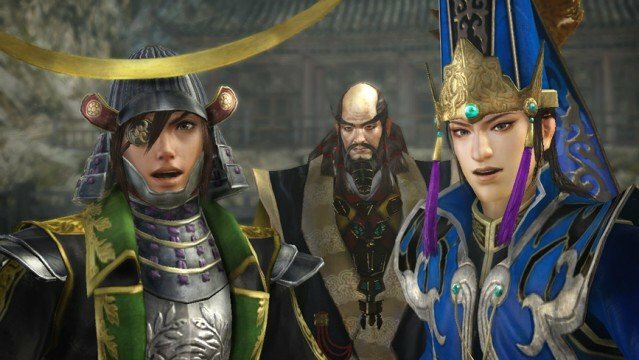 Fans of either the Dynasty Warriors or Samurai Warriors series will feel comfortable fitting right in with the familiar gameplay, while series newcomers might be surprised with just how much depth there is to the genre. This review is based on the PlayStation Network version game, which we were provided for review purposes.